This was week 3 of the Mary Hyde challenge. This week to gain the Mary Hyde souvenir one had to find or deposit a trackable. 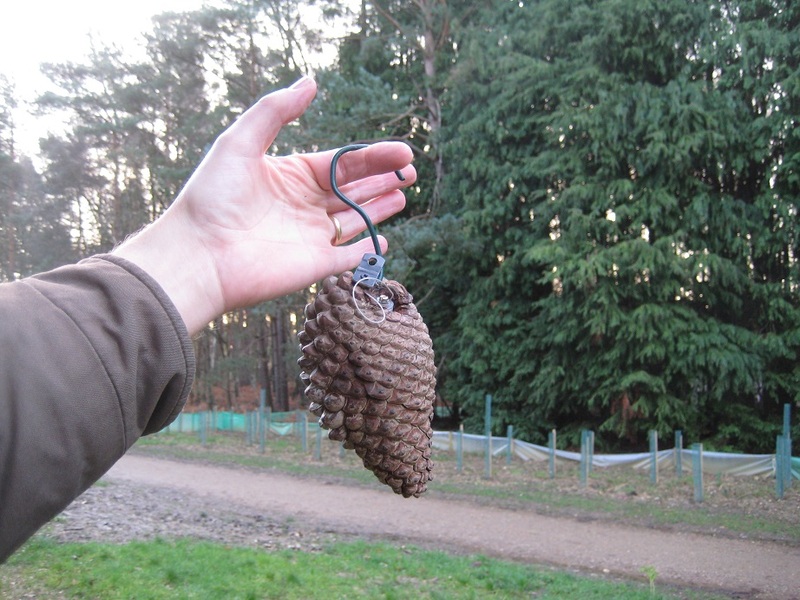 Finding trackables can often be tricky, as frequently caches are listed as ‘containing a trackable’ but due to various reasons, the trackable is missing. We were therefore grateful we had a trackable in our possession, Annerschter (aka Henry’s Cat). But where to place it ? The weather was forecast to very wet so a short caching trip was planned in Simons Wood on the border of Wokingham/Crowthorne/Finchampstead. Fingers crossed we would finish before it rains! 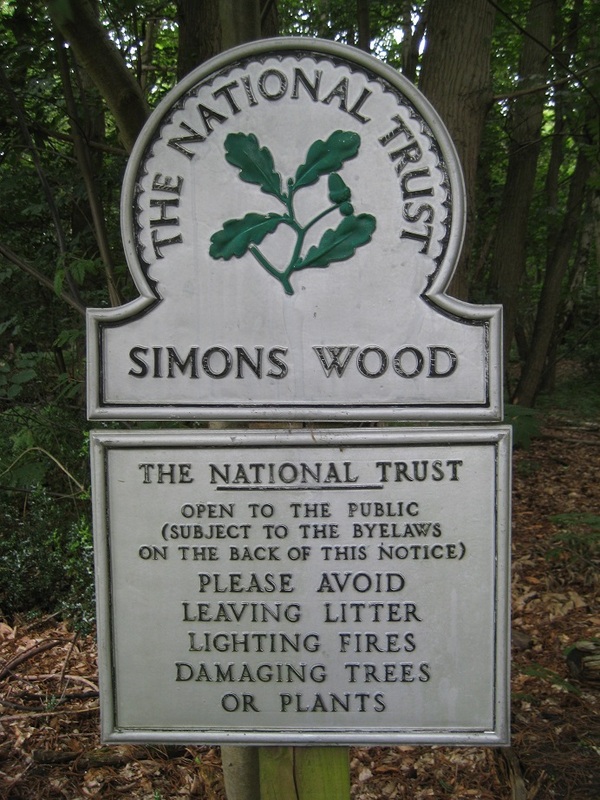 Simons Wood is owned the National Trust, and is a heavily wooded, and in places heavily rhododendron-ed. 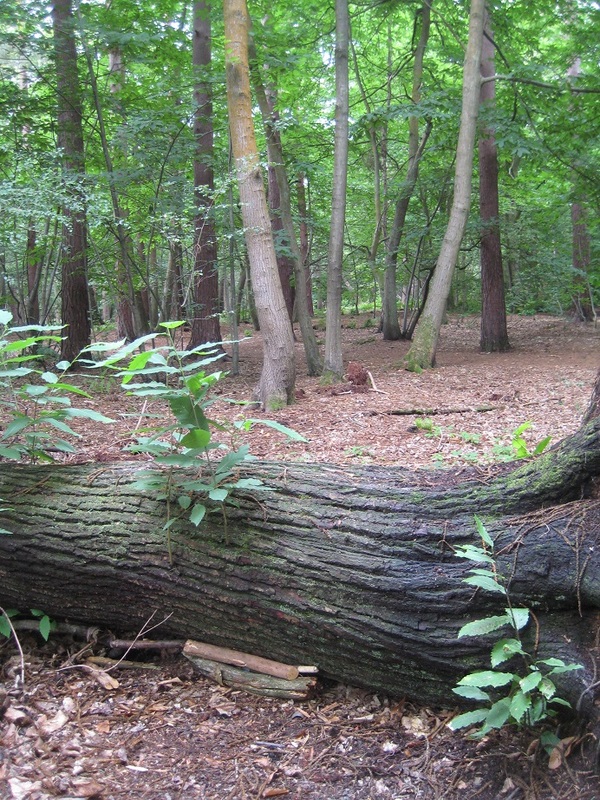 The National Trust are slowly removing many of these large invasive plants, but it will still take some time until Simons Wood loses its ‘jungle’ feel. 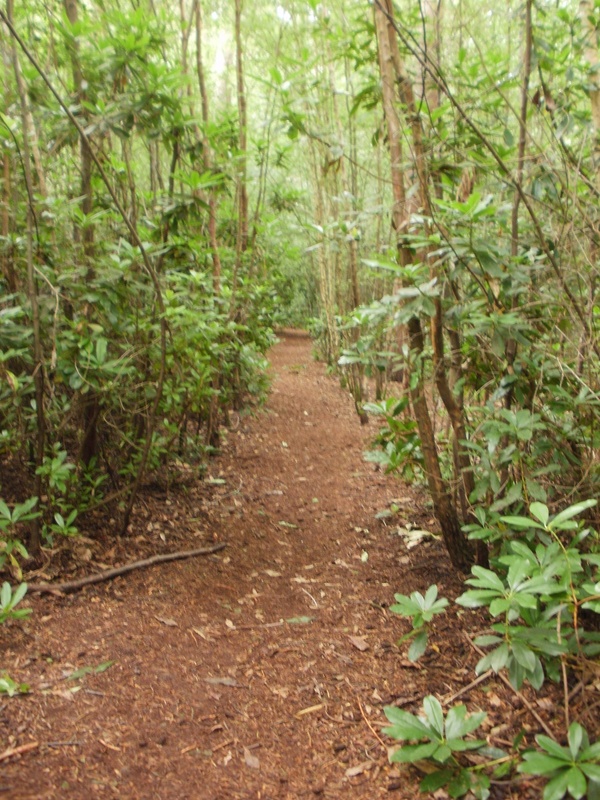 Is it a jungle or is it Simon’s Wood? 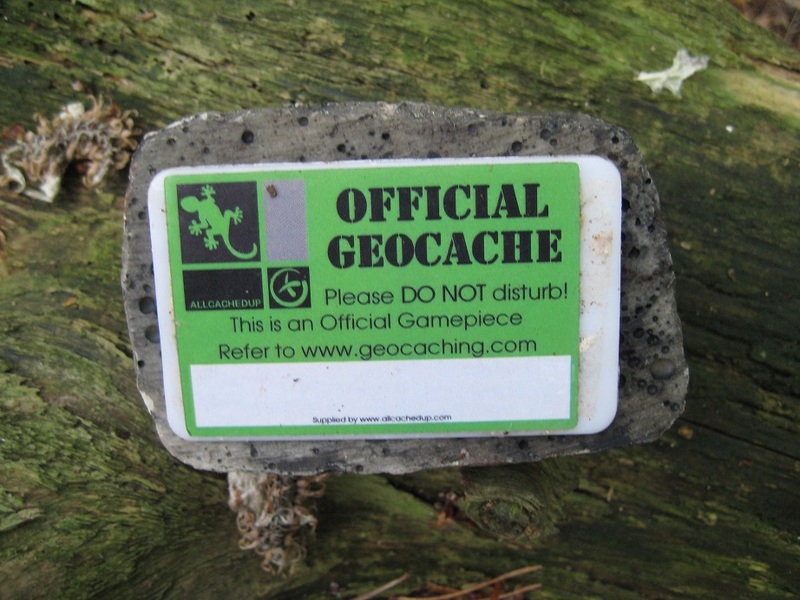 We’ve cached here before – way back in July 2014 when we found one the UK’s oldest geocaches, first hidden in 2003. Today would be on the other side of the Wood and we would circumnavigate a property known as ‘The Heritage Club’. Our first find, was well hidden under a fallen tree. We quickly discovered though, it was not a simple find. 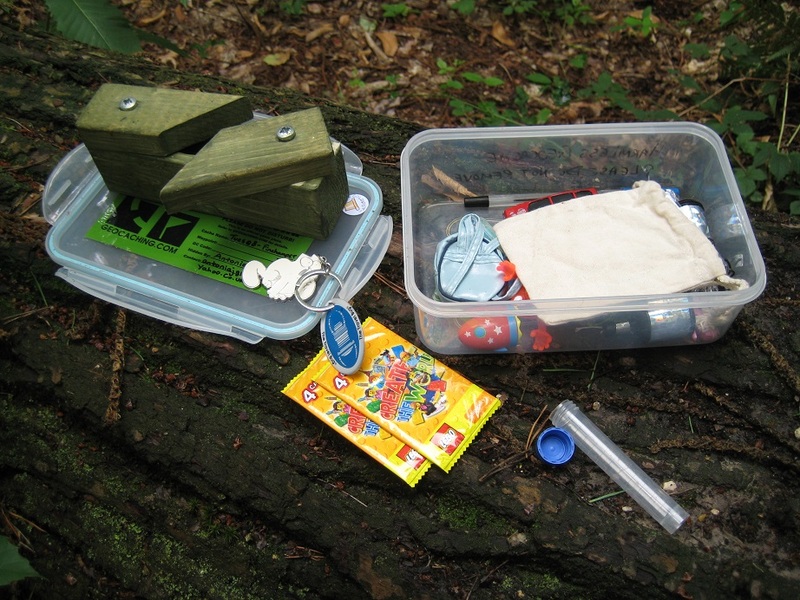 The cache had been procured from cache maker JJEF, and we had to work out how to open the cache! Like many of JJEF’s caches, it only takes a minute or two..but it gave our ‘little grey cells’ a light work out. As the cache was quite big, it was here placed Annerschter in. The second and third caches were harder to find. 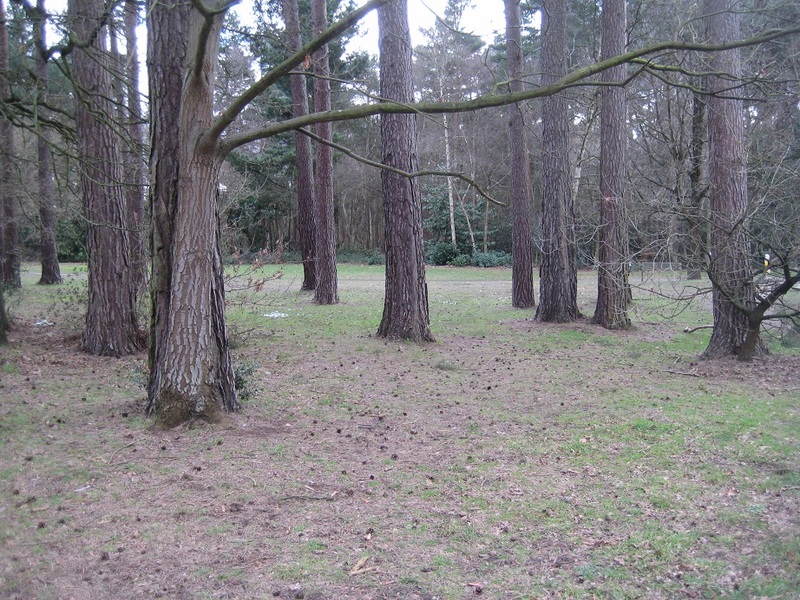 The hints were ‘near a circular clearing’ and ‘in the roots of a silver birch’. Well, woodland is always changing. Clearings are not clearings for long, silver birches tend to form a mini forest of their own. For both caches we spent 10-15 minutes looking at a myriad of hiding places, and came close to DNFing both. Fortunately persistence paid off, and we were successful at each. 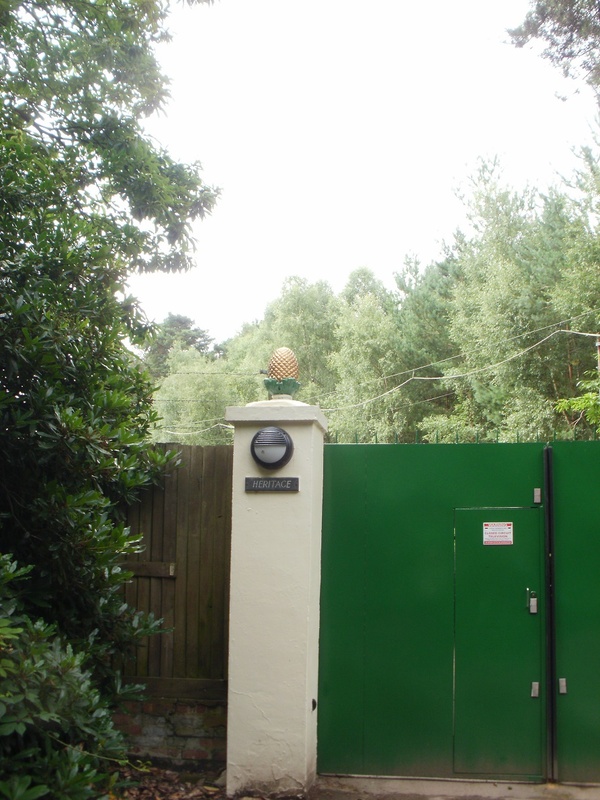 Our route back to the car passed the gates of ‘The Heritage Club’, a grandiose title which can easily be mistaken. It is not some 17th century building, or 19th century steam railway.. it is in fact a nudist holiday camp. This accounts for the very high, prison-like fences surrounding the property. Given our struggles to find the last two caches we probably wouldn’t have seen anything if the fences weren’t so high! The skies were darkening and cars had headlights on (at 11 am on a July morning!) we had a quarter of a mile yomp along a pavement back to the car. 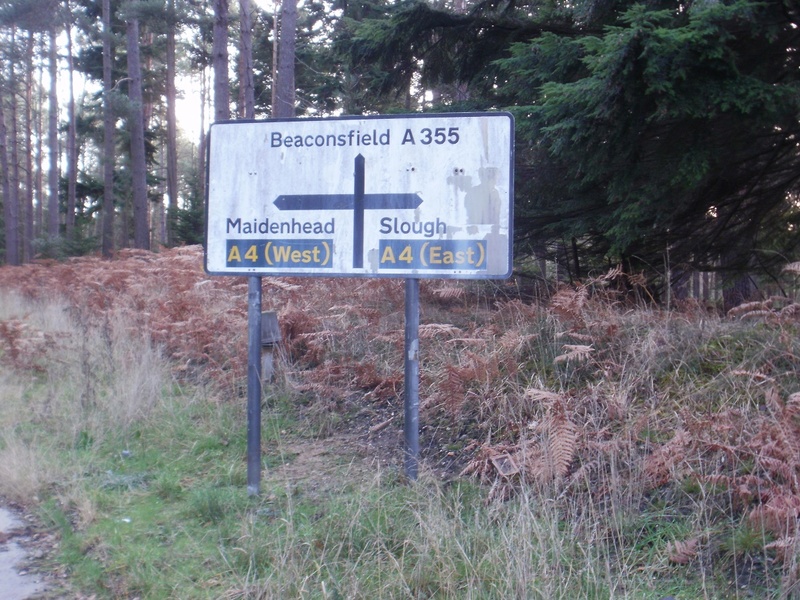 One cache to find – magnetic behind a road sign – and we would have finished. Yards from the car park, the first raindrops fell and we reached the car without getting too wet but having gained another Mary Hyde souvenir. Our original plan for caching on the Leap Year weekend was to find a cache – any cache – on February 29th, to fill that one day in the caching calendar that is only up for grabs once every four years. 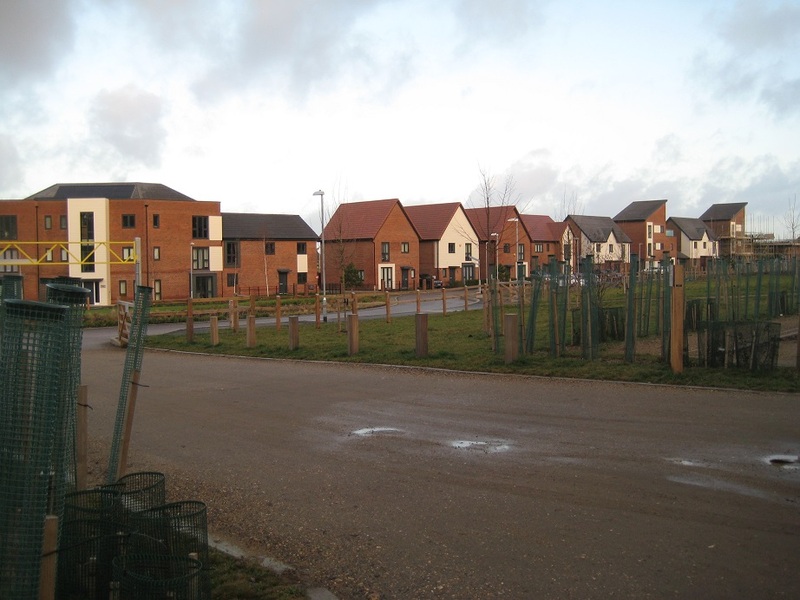 But somewhere in our planning, there had been a bit of ‘scope creep’ and out we went again, on the second day in the weekend, to look for geocaches. 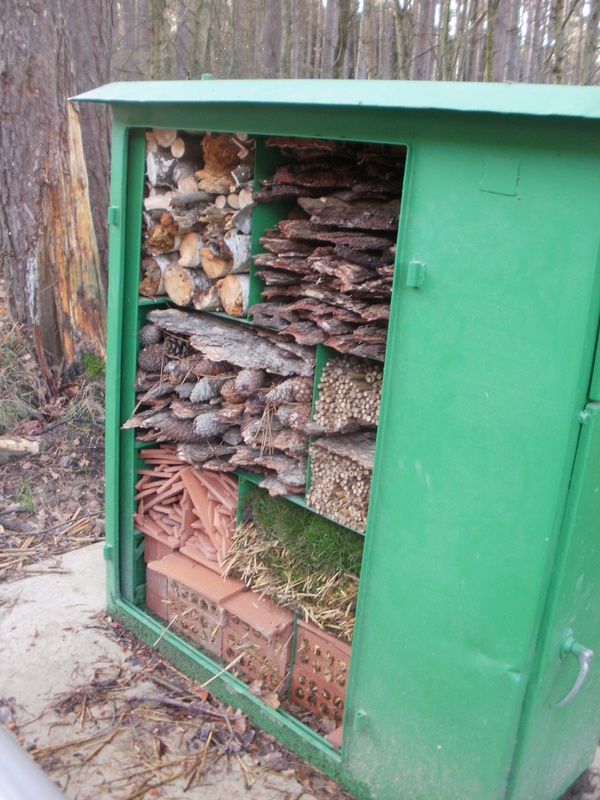 Once more, we had decided on just two local caches. 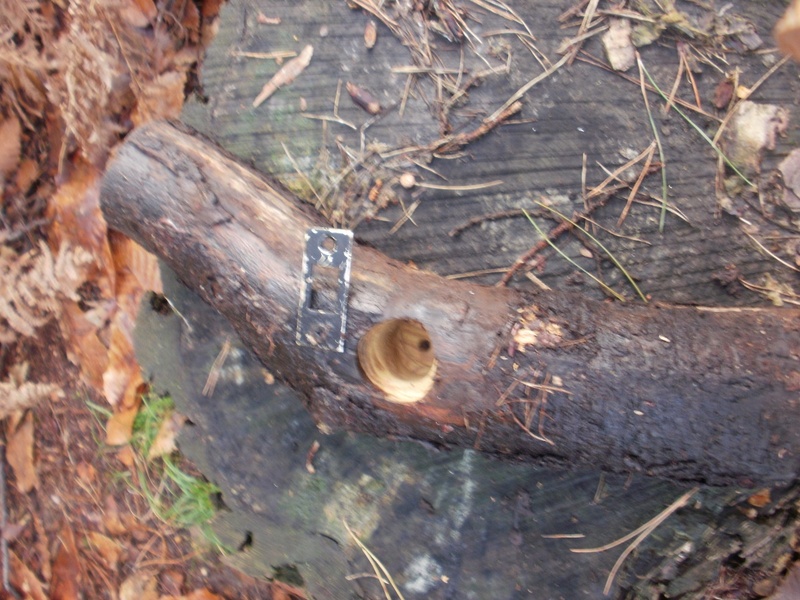 The first was another puzzle cache from the ‘Berkshire Residents’ series, with the final cache somewhere off a path leading from Nine Mile Ride. (Editor’s note: that’s not a very big clue as Nine Mile Ride is about seven and a half miles long!) Some of the cryptic clues which had enabled us to solve this puzzle involved ‘sports champion’ and ‘multiple jobs’. We left the geocar and headed off down a track, then grovelled around in the trees on either side, eventually finding the cache some little way from where the GPS said it should be. Ho hum. As we headed back to the geocar, we had to step aside smartly as a 4×4 came trundling up the track, before stopping to move a fallen branch. 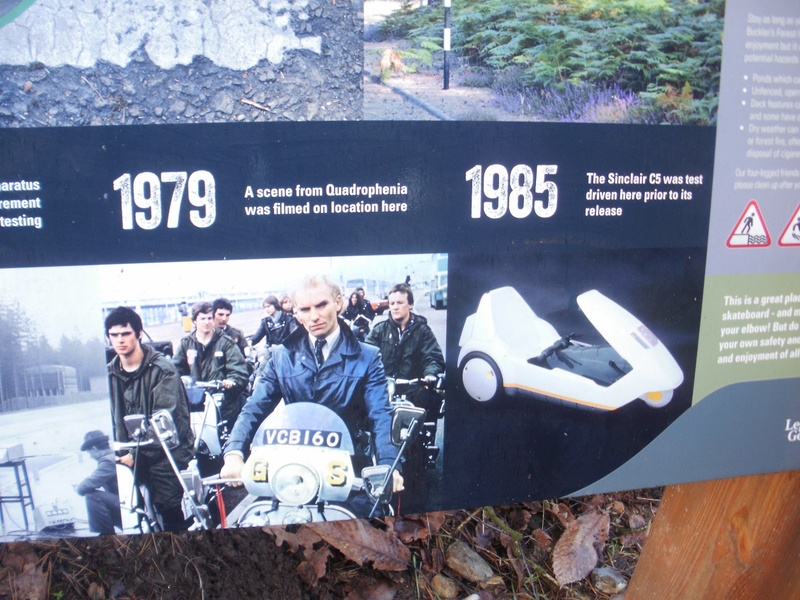 This didn’t seem quite right – surely this wasn’t a road? But the 4×4 driver assured us that he was in the right and we didn’t feel inclined to argue. Ho hum again. Back to the geocar, and time for the next cache, which was also along Nine Mile Ride. 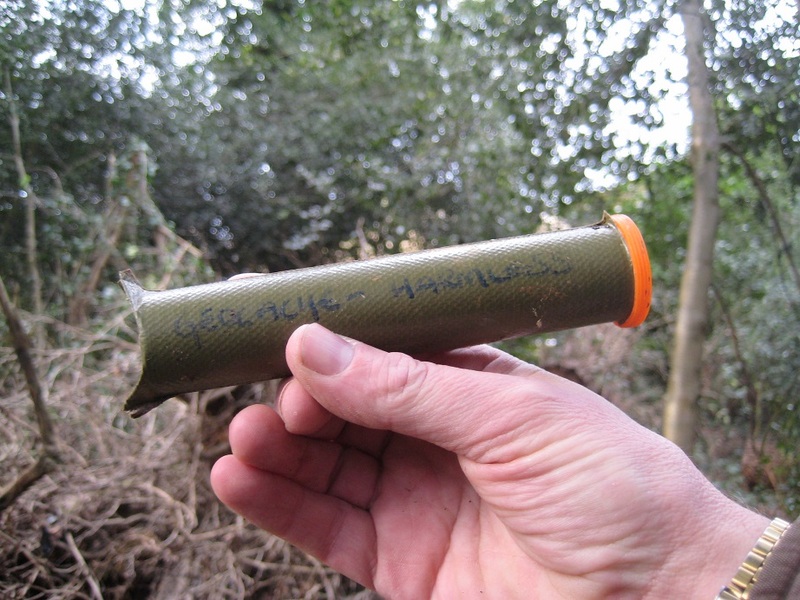 This cache is one that Mr Hg137 has covertly attempted, without a GPS (and without success) on previous occasions when passing by while working. Time for a concerted attempt by team Hg137. The cache title is ‘It’s with 20m of the coordinates specified’, so we stood at the spot of said coordinates and then fanned out to search for the cache. Mr Hg137 struck lucky and had the cache, seemingly within seconds, while I was still staring vaguely at the nearest tree to the coordinates. Ho hum for a third time. 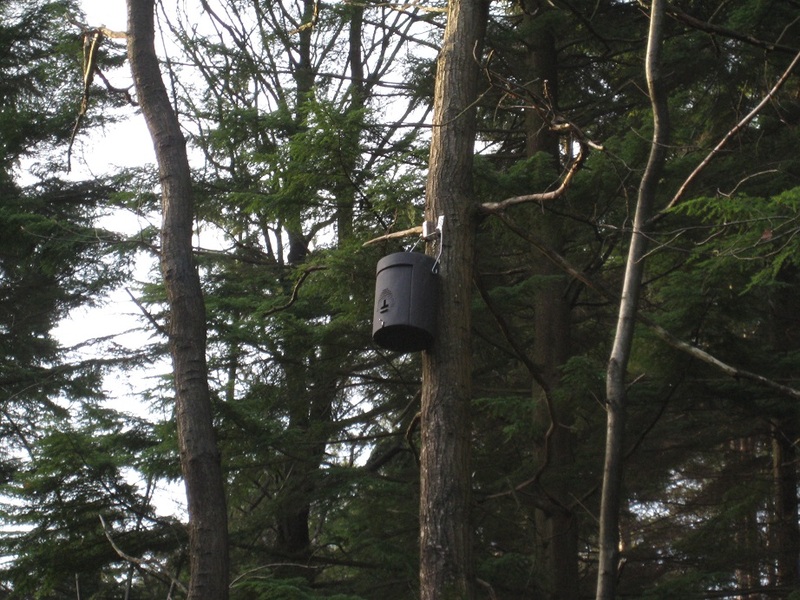 So, two caches, two successes, and another day bagged in the Leap Year weekend. Caches that cross a multiple of 100 seem significant, and for us the number 13 is also significant so cache 1300 seemed a good one to make special. Sadly time was a bit precious so we attempted a simple multi-cache just 2 miles from home. Normally we are wary of multis (especially those over 3 or 4 stages, as we invariably go wrong). However this one had a single stage, the questions seemed easy and the cache had received over 20 favourite points (out of 140 finds). 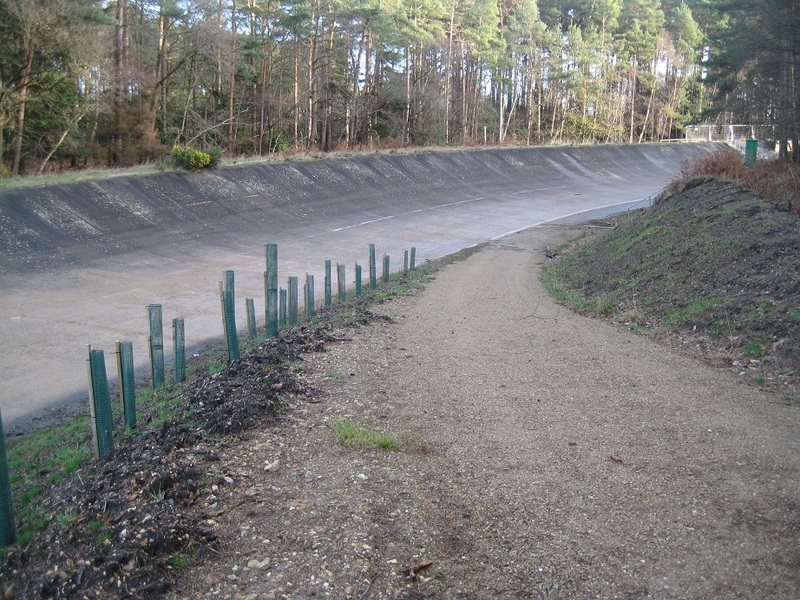 We drove to a car park near Crowthorne on the edge of Swinley Forest. The car park was full! Dog walkers a plenty! We inched our way into a space (avoiding the toddlers and dogs as we parked) and set off. We noticed that a dog search and rescue team were setting up, but given the frenetic nature of the car park we didn’t have time to find out more. Walking down one of Swinley Forest’s sandy tracks we were accompanied by at least 3 dog owners and 6 dogs. This is when we realised we were perhaps heading on a slightly longer route to our first target, a former Nuclear Bunker. 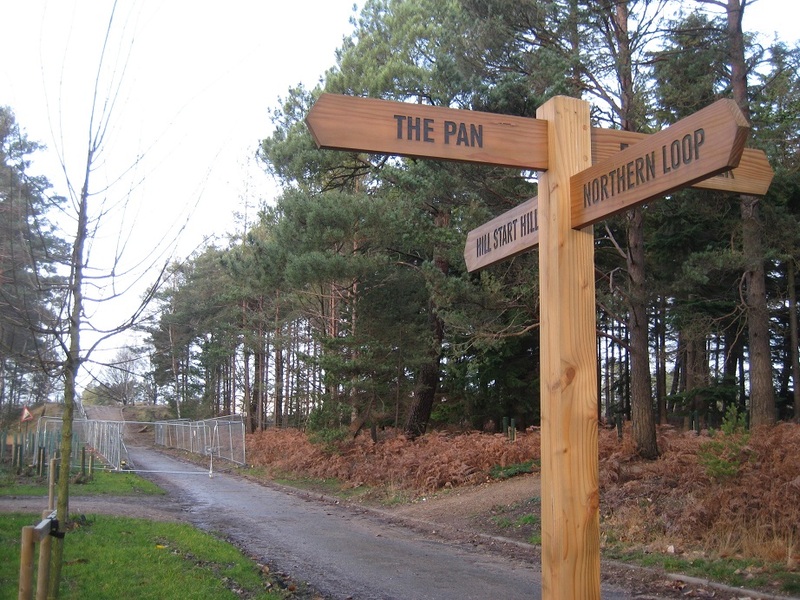 We turned away from the dogs quite quickly and then passed pine and fir trees we helped to plant 4 years previously (following the great Swinley Forest fire when over 100,000 trees were lost). We turned back to take a photo and suddenly a deer ran across the path where we had been seconds before. Then another! A lovely sight, and one we’d have missed if we hadn’t left the car park from the wrong exit or indeed looked back at the moment. 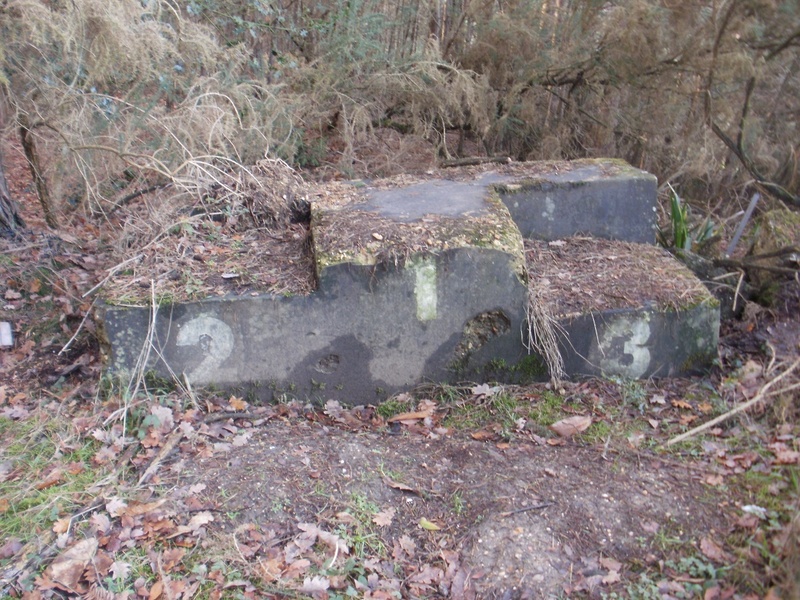 Britain is littered with Nuclear Bunkers built primarily during the Cold War, now most have been decommissioned. Mr Hg137 has lived within 5 miles of this site for most of his life and never known of its existence. 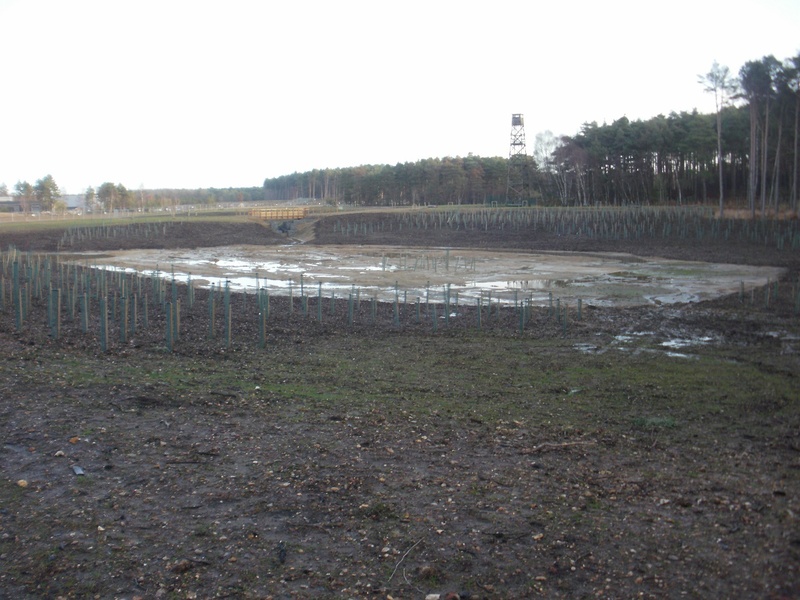 What remains in Swinley Forest is a small hole in the ground, filled in with concrete. To locate the final location of the cache, various questions were asked about the hole, and what can be seen in the neighbourhood. 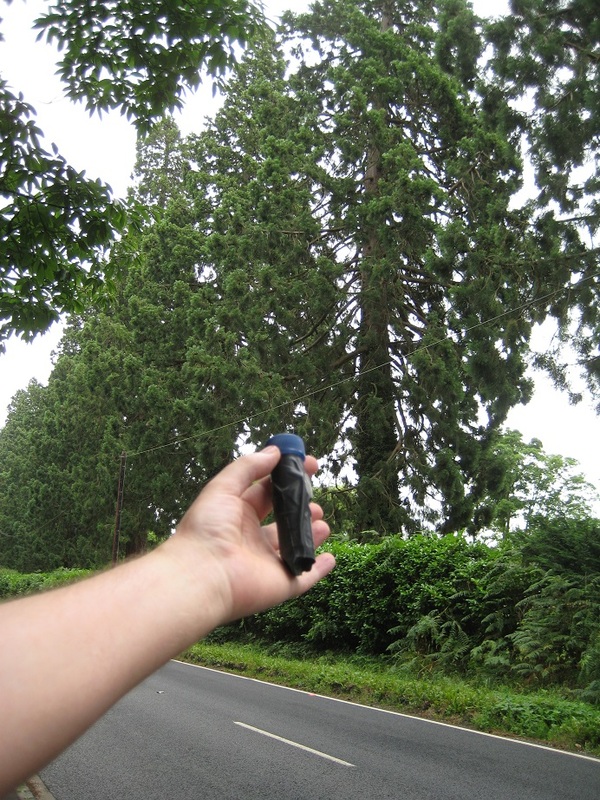 Then its a short walk to find the final cache closer to the centre of Crowthorne. Although this was only a 35mm film container, much thought has been made with its placement. Before Lexi went off to find the ‘dogsbody’ she kindly posed for a photo and we gave a donation too… one never knows when we are lost (!) and may just need the assistance of search and rescue. 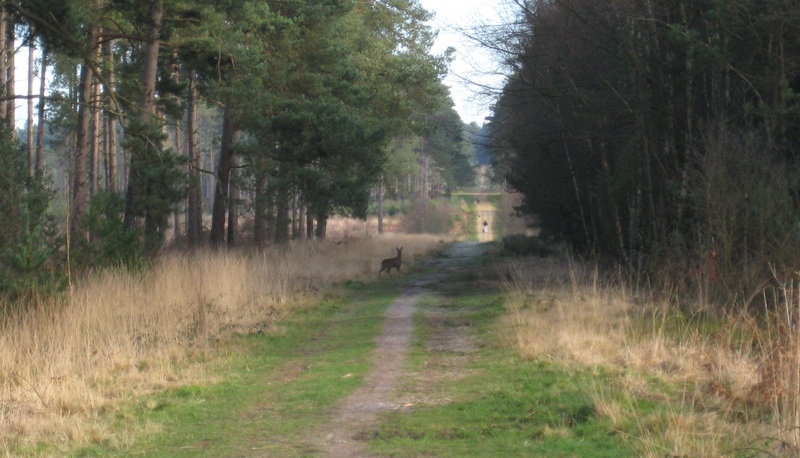 So despite cache 1300 being only a 35mm film canister a bunker, a dog and a deer made it a truly memorable experience! “Aha There me ‘earties ! Listen to what treasure we found in a cache recently! Made from semi-precious plastic its an angry looking pirate waving a cutlass. A cutlass, lads! Who carries a cutlass these days eh! Cutlasses are for wimps. I was able to find out about the pirate. It, like us, is on a mission. Whilst we like to plunder gold and silver and doubloons and jewels it wants to travel the world and head back for its owner’s 18th birthday in Poland in 2021. Poland! How many pirates come from Poland ? Anyway me ‘earties I’ve decided our Polish friend can come with us for a few weeks, see the rough and tumble of real-live pirates.